Scandale Bridge Cottage Self-cateringLocated on the outskirts of the bustling market town of Ambleside, this 18thC Lakeland stone cottage offers an idyllic base from which to explore this spectacular area. The cottage is located at the foot of Fairfield Horseshoe with Scandale Beck flowing at the perimeter of the grounds. Scandale Bridge Cottage is located on the northern outskirts of Ambleside on the A591. Totally non smoking. Children welcome from any age. 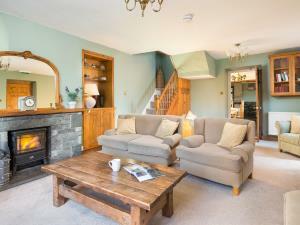 Scandale Bridge Cottage sometimes limits bookings to 7 or more days. Scandale Bridge sometimes limits bookings to 7 or more days. Scandale Bridge Cottage is located on the northern outskirts of Ambleside on the A591. Keys are to be collected from The Travellers Rest Hotel & Inn at Grasmere on the A591. Brilliant location, close by to lots of walks, amazing scenery and Ambleside which is full of lovely shops & restaurants, and not too busy. The house was very well equipped, though starting to look a little tired in certain rooms, though it certainly didn't affect our stay. Lovely outside area and a stream at the bottom of the garden to dip your feet in, which the kids loved, what more could you ask for.